Payment Methods: AstropayTEF, 2c2p, Trustly, Webmoney, QIWI, Przelewy24, Multibanko, Giropay, iDeal, Sofort, bank wire transfer, credits cards, and debit cards. Neteller and Skrill for all subsequent deposits. When we analyze a broker we haven’t looked at before, we attempt to determine what differentiates it from alternatives coin brokers in the cryptocurrency industry. What new features does it provide? How much up time does the site achieve? Capital.com may not be everything to everybody, but in the realm of CFD trading, it seems to hold up to scrutiny in these criteria. We’ll also attempt to convey the experience of Capital.com from the user perspective. How is it for beginners? Can you get in touch with customer service when necessary? Capital.com isn’t totally unique in these regards, but that isn’t what it’s setting out to do. Capital.com gives users exactly what they need, and little they don’t. It’s excellent selection of cryptocurrencies shows that it understands the contemporary industry, and its customers needs. 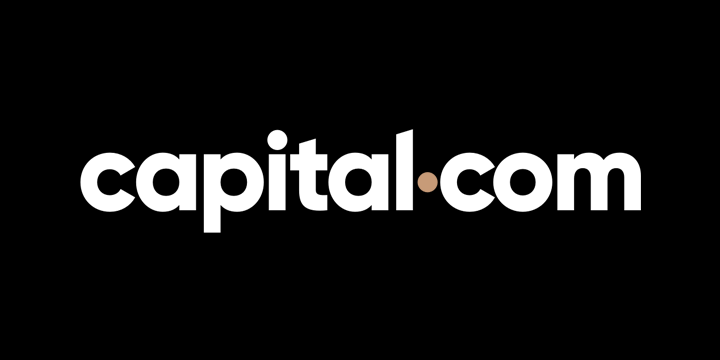 There’s a lot to like about Capital.com, and we hope you’ll agree by the time you finish this review. Capital.com is not an old player. Nor is it (primarily, at least) a “dot com”. Capital.com was founded in 2016 as a CFD trading app for iOS and Android. It continues to operate in these spaces to this day, but has since introduced an advanced trading web platform, as well as AI-driven technology, that prevent traders from irrational behaviour and an alternative educational app platform called Investmate. Capital.com goes out of its way to be modern and transparent. While shaddy CFD brokers obfuscate their leadership and management, or make it difficult to contact them, Capital.com holds the door wide for all interested parties. High level officers like Ivan Gowan (CEO), Anastasia Akula (COO), Vassos Kyprianou (CFO) are all well-reputed in the financial industry. Capital.com’s international reach establishes it as a key player in the CFD space, even less than 2 years since its introduction to the world’s trading markets. Capital.com is headquartered in Cyprus, with ancillary offices in London, Gibralter, and Minsk. For its operations in the European Union, Capital.com abides by the Markets in Financial Instruments Directive (MiFID). It is primarily regulated by the Cyprus Securities and Exchange Commission. This hcas practical implications for the way Capital.com must conduct business which will be appreciable for any trader. For one, Capital.com must have segregated accounts. This means that customer funds that are stored within the platform (in CFD contracts, for example) cannot be used as an investment piggy bank. The money that Capital.com stores, it can not also spend. It is merely entrusted with these funds. This basic practice prevents all kinds of shenanigans that occur in unregulated markets. Capital.com is also required to invest at regular intervals to what is basically an emergency fund for its customers. If Capital.com should run out of money for any reason, and be unable to pay back their customers, this emergency fund would cover every user up to 20,000 Euros. Not every CFD broker out there is regulated, and not all regulations provide investor protections like this. It’s a bit selling point for Capital.com. These limits are implemented to protect new traders from big losses. For professional traders Capital.com offers leverage up to 200:1. Capital.com’s web trading platform is nothing fancy. But it does provide easy trading of all assets (not just crypto) in a single interface. The charting tools are pretty complex, and users can follow a watchlist of assets, rather than having to bounce between menus all the time. This way you can watch assets other than cryptocurrency, in the case that your trading interests are more broad. The Capital.com apps are the quintessential way to experience this trading service. Both are a somewhat abbreviated version of the trading site. You won’t be able to chart as easily or diversely, but all other aspects of the platform are available through mobile. Many users happily use the mobile sites without ever looking at the web platform, and are no worse for the experience. Capital.com put a lot of effort into educating its clients. Using AI backed technology, the company has identified the most prevalent trading biases and provides the latest news (featured in its News section) to help clients avoid irrational behaviour and become more successful in trading. It also helps them to manage risks. When a trading bias is detected, the app provides the trader with personalised educational materials written by trading professionals. The Investmate app isn’t a trading app proper, but will educate users about how to get more out of their trading experiences. For beginners, Investmate should definitely be a first stop before risking money on the live platform. Capital.com hits the sweet spot when it comes to cryptocurrencies on offer. We sometimes come across CFD brokers who add digital currencies, but who don’t seem to really “get” cryptocurrency. They end up with a dated array of coins that used to be hot, but aren’t as relevant today. Meanwhile, they miss new standard bearers within the industry – a major missed opportunity. Capital.com avoids the other pitfall of adding too many cryptocurrencies to an existing CFD platform. They don’t add too much! We can’t remember how many times we’ve seen various crypto brokers who seem to want their platform to be everything for everyone. This leaves them with heaps of currencies with little trading volume, cluttering what might otherwise be a strong platform. Notice that all of these coins (well…for the most part) have relevance to investors in mid 2018. You don’t see a lot of projects that turned out to be flashes in the pan. Instead, we have a well curated list of highly interesting coins which see a lot of price activity in the broader markets. Any of these could help generate profits for skilled CFD traders on the Capital.com apps of web based platform. Capital.com doesn’t charge any fees for trading, deposit, or withdrawal. This makes it really easy for customers to understand “how much money they have” at any given time. Capital.com makes their money when customers’ price speculations don’t turn out to be true. Losses are deducted from the funds locked into the CFD contracts (CFD stands for Contract For Difference, so we were being a little redundant…). Spreads make it a little easier for CFD brokers to make profits, as users don’t have to simply guess the correct price movement. The price also has to cross a certain threshold before user profits become unlocked. Capital.com is available in 51 countries in 4 continents (North America (not the United States), South America, Europe, and Asia). As such, Capital.com must accept a diversity of payment methods in order to reach the broadest swathe of potential investors within these dissimilar regions. Capital.com traders can use any of the following for deposit: AstropayTEF, 2c2p, Trustly, Webmoney, QIWI, Przelewy24, Multibanko, Giropay, iDeal, Sofort, bank wire transfer, and credit and debit cards . All subsequent deposits can also be made via the most popular digital wallets Neteller and Skrill. It’s important to note that if you deposit funds using one method, withdrawals will be sent back to you using that same method. So don’t think that you can deposit via Skrill and get funds sent straight to your bank account. This is time a resource consuming for Capital.com, and increases the risk of the site being used for fraudulent purposes. Probably Capital.com’s most unique feature is its mobile-first emphasis. CFD trading can be quite complex, and professional CFD traders tend to be associated with busy looking web interfaces that are more complex than the average user can comprehend. By distilling CFD trading to its most important elements, Capital.com is a friendlier CFD broker. New users can learn the ropes without difficulty in most cases. And if difficulty should arise, the “News” section and Investmate app is there to answer all of your questions. We also love Capital.com’s design. While the name of the service seems like a throwback to Web 1.0, the look of the platform is anything but. Capital.com’s site, web platforms, and especially their mobile apps are streamlined and modern. Looks matter. Customers tend to trust brokers who look the part, and Capital.com performs well in this regard. Finally, we like that users can make custom lists of watched assets, including crypto and non crypto assets. It can be a pain when these trading options are discreet, especially for users who want to trade them all! How Does Capital.com Compare to eToro? Capital.com is probably the closest broker we’ve found to matching eToro’s high standard of service. In fact, they’re more similar than they are different. Both more or less accept that same payment options. Both offer a well curated blend of cryptocurrencies, in the 12-16 range (eToro is 12). Both have strong methods of attracting brand new users (eToro with marketing and super simple interface, Capital.com with a mobile first focus). Both offer CFDs for assets that are not cryptocurrencies. It’s hard to say whether or not one is better than the other. But here are a couple of traits that are in eToro’s favor. eToro is more widely available. Today it’s in more than 60 countries, compared to Capital.com’s 51.
eToro is available in the United States. Capital.com is not. That’s huge. Both platforms have majorly different visual and UI styles. But both are modern in their own way. With prices and services basically neck and neck, it’s up to the user to decide which is the better option for her. Go to Capital.com. Click on the “Try For Free” button. If you want to use the mobile version, just download it from you app store for iOS or Android. Provide the basic information requested. Make your first deposit of at least $100. Consider spending some time with the Investmate app before trading. At this point, hopefully you’ll start making significant profits! When criticizing Capital.com, we feel like we’re nitpicking, but there are a couple of noteworthy characteristics that might be a turnoff for some users. Conclusion: Is Capital.com a Good Place to Buy Cryptocurrencies? Just in case you can’t tell by now, we’re pretty happy with Capital.com. It has a remarkable way of meeting modern trading needs, by offering a strong selection of cryptocurrencies on a state of the art trading platform. The emphasis on mobile trading is a feature no competitor can beat. We appreciate Capital.com’s transparency, regulation compliance, and steady expansion into global finance. The company continually improves their offerings, and we don’t see that stopping anytime soon. For people interested in trading cryptocurrencies, their moderate but strong selection of digital currencies will provide a ready gateway into the wild west of crypto trading.